Trace grew up in Ogden, Utah, and graduated from Weber State University with a Bachelor of Arts in Music. He did studies in the Master of Music program at the University of Utah, and earned a Master of Divinity from Bexley Hall Episcopal Seminary in Rochester, NY. He has served parishes in New York, New Hampshire, and Oregon. For nine years, he was Chaplain at Rowland Hall St. Mark’s School, Salt Lake City, where he also taught World Religions and Ethics. He has been at All Saints since 2014. Trace and his wife, Karen, are the parents of five children and have four grandchildren. He enjoys music, reading, cooking, and spending time with family and friends. Gabriel is one of the Lost Boys of the South Sudan. He was born on Christmas Day 1978 in Boma at Kiir, Lith Payam, South Sudan. In 2004 he moved to Salt Lake City, Utah. The following year, he began studies at Salt Lake Community College, where he was awarded an Associate of Arts. In 2006, he returned to South Sudan to visit relatives, and there he met Ms. Mary Alek Kuir Akuoch at a church conference; they were married in July of that year. He became a U.S citizen in 2007. In March of 2014, Gabriel and his wife were blessed with twin boys, Atem and Kuir. Gabriel was ordained as a priest, October 1, 2016 at All Saints Church. Steve has been affiliated with All Saints since November 2015. His previous home congregation for the past 20 years was the Church of the Resurrection in Centerville. Steve was called into the ordination process in 1998, was ordained as a Deacon in 2003, and to the Priesthood in 2004. Steve spent 32 years in the credit union industry, 25 years as a CEO. In 2009 he went to work for the Diocese of Utah as the Chief Financial Officer, his current position. In 2012, he was made a Canon in the church by Bishop Hayashi. He and his former wife Annette have one daughter Amy who lives in Salt Lake City. Steve married Myrt McMcusker in November 2017 at All Saints. We are blessed to have them as part of our community. Anita became the Parish Deacon at All Saints in June 2011 when she was ordained to the vocational diaconate. A 25 year resident of Salt Lake City (23 at All Saints), she has also lived in 6 other states and 3 other countries. She speaks Spanish, Portuguese and French. 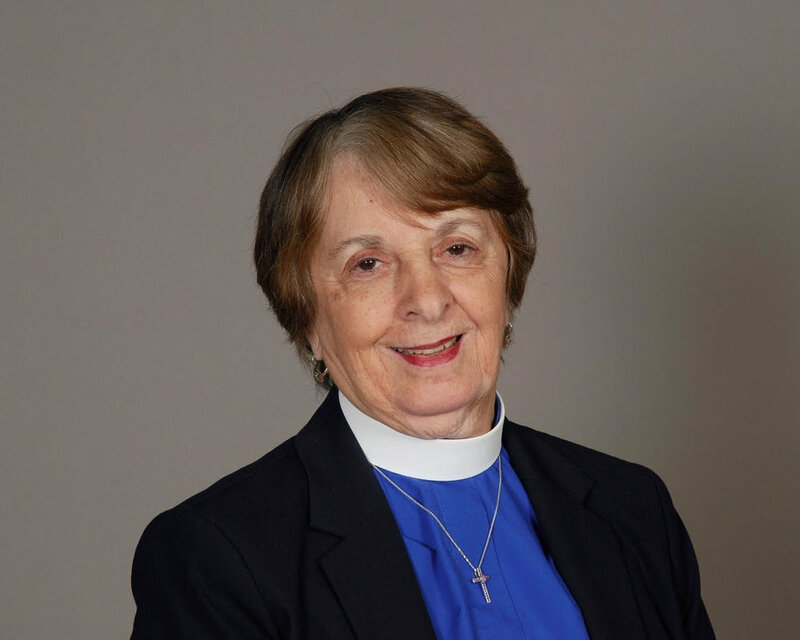 Anita is a graduate of Hood College and Middlebury College and received theological training through the Diocese of Utah Ministry Formation Program. She is active in a variety of immigration and justice issues. She is a professed member of the Third Order, Society of St. Francis (Episcopal), in which she served as Minister Provincial. Anita has 2 married adult daughters and 4 grandchildren. Marlin has been the Choir Master at All Saints since January 2005, adding the duties of Organist 2010. He has been the Parish Admin. since November 2013. He is currently the accompanist for The One Voice Community Choir. He started playing the piano and organ at age twelve. He has had several years of professional voice lessons and has won several competitions as well as music scholarships, and has sung with SLCC Chamber Singers and Salt City Jazz, Salt Lake Men’s Choir, and various other groups. He has composed several pieces of music, both piano and choir, for use at All Saints. Marlin has lived in Salt Lake since 1997 and has been an active member of All Saints since 1999, having served as a choir member, on the Vestry, and as a member of the church staff. Brianna joined us in 2014. She quickly jumped into the Parish life and began teaching Sunday School. When the need arose for a new Youth teacher, Brianna stepped in and has been leading our Youth for 3 years. Brianna became our Parish Coordinator in 2016. She has a knack for social media and runs our online accounts. She has been nominated for several Polly Bond Awards for her work in 2018. Brianna lives in the Salt Lake area with her husband. She enjoys reading and leads our Women’s Book Club once a month. Brianna is a Mathematics student at Westminster College and hopes to teach high school math one day. Ellen Schwede and family began coming to All Saints in the summer of 2016. With three small children, she soon became involved with the children’s ministry. With the previous Sunday School Coordinator, Susan Dale’s encouragement, she participated in the Godly Play training, and quickly became hooked. A teacher for the last two years, she took over the leadership role in the fall of 2018. Ellen is the wife of Karl and mother of Paul, Alice and Ben. When not working at her part-time job as a structural drafter, she leads Uintah Elementary’s PTA, making sure she still has enough spare time to knit, read, and build things. Sharon is in her third year as Treasurer at All Saints and appreciates the opportunity to serve in this capacity. She has worked in some kind of finance all her working life. Sharon started in banking and went to accounting in the finance department of Green College, Oxford University, England. After moving to the US in 1986 she worked in retail for a while, then went back into accounting, working for several manufacturing companies. Over the years Sharon added payroll, some corporate accounting and finally medical billing to her list of jobs. Now she works with her daughter in her bridal business, in manufacturing and does her bookkeeping and payroll.